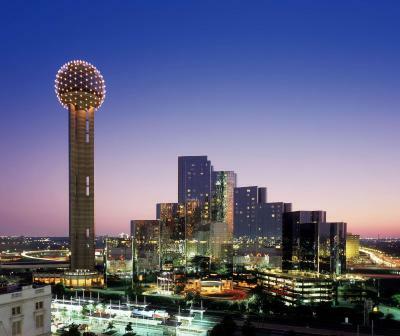 Lock in a great price for Hyatt Regency Dallas – rated 8.8 by recent guests! Great location, friendly employees and room was clean. The location was very convenient, and the hotel was beautiful. The entire staff from valet to house keeping was amazing. 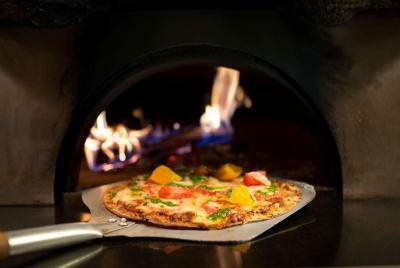 The dinner at Wolfgang Pucks restaurant was wonderful. The staff went beyond expectations to help us and the accommodations were awesome. Location, overall structure, bed was comfortable and everything I needed was in the room. Room service was nice, the man who brought it up was very nice and friendly. The staff was amazing and mega accommodating!! The room was so clean and went way above my expectations. Super happy and would definitely stay here again! It was a great experience. The hotel it’s so big that you will get lost, rooms are ok.
Nice, clean hotel. Kids loved the glass elevators. TV was not watchable, the picture was constantly breaking up. We figured this was due to the wind/dish since we were very high up. Great view! 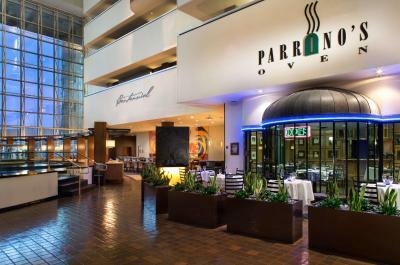 Bar and several restaurants inside of hotel and the Reunion Tower is attached to the hotel. 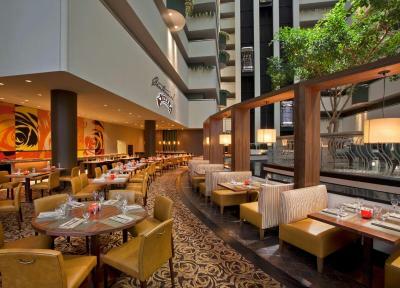 Hyatt Regency Dallas This rating is a reflection of how the property compares to the industry standard when it comes to price, facilities and services available. It's based on a self-evaluation by the property. Use this rating to help choose your stay! 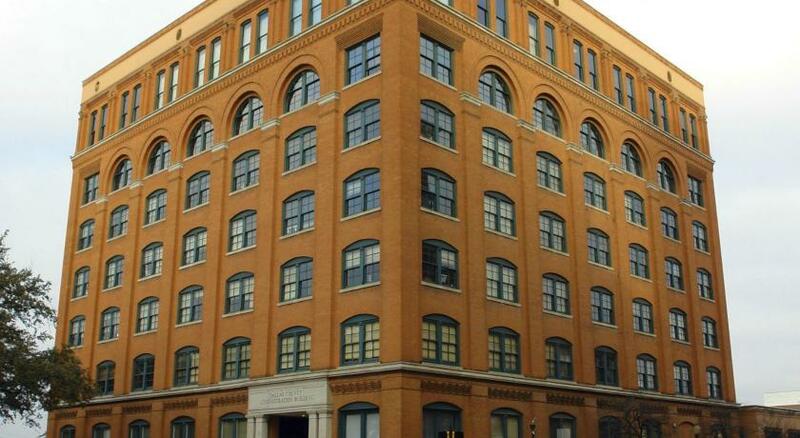 Less than 1 miles from the hotel, tours are available at the JFK Memorial and Sixth Floor Museum at Dealey Plaza. 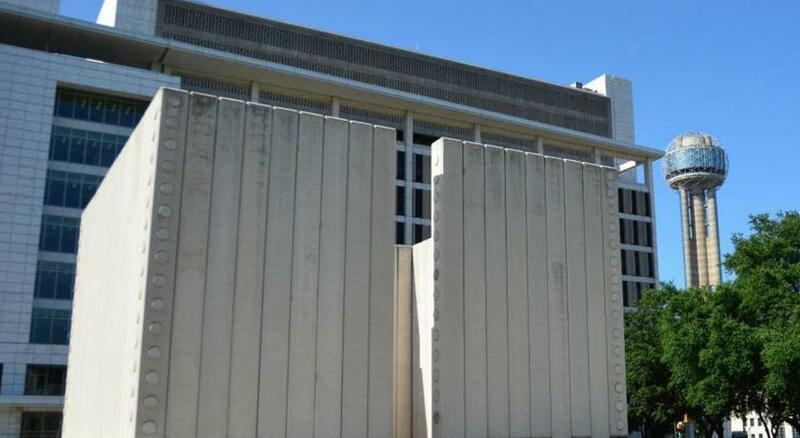 The Dallas Museum of Art is within a 10-minute drive of the property. 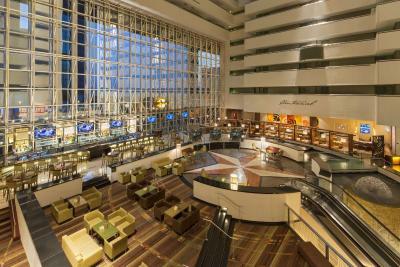 When would you like to stay at Hyatt Regency Dallas? 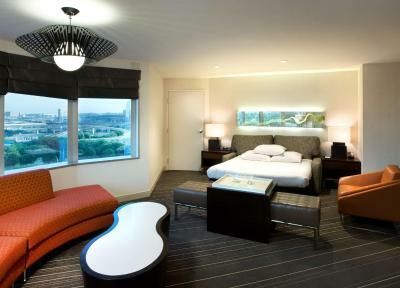 This room features a 32-inch flat-screen TV and city or park views. It features motion-censored floor lighting and automatic window shades. 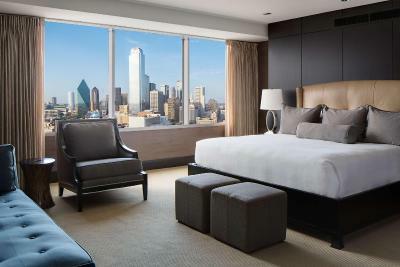 This room features a work desk, 32-inch flat-screen TV and views of Downtown Dallas. It features motion-censored floor lighting and automatic window shades. This accessible room features motion-censored floor lighting and accessible bathtub. This accessible room features a work desk, lowered amenities and roll-in shower. This accessible room features a work desk, lowered amenities and accessible bathtub. This room features a sofa bed and a separate work area. It has motion-censored floor lighting and automatic window shades. 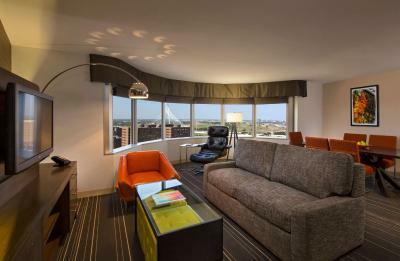 This room features a 32-inch flat-screen TV and city or park views. It has motion-censored floor lighting and automatic window shades. This suite features a dining table for six, separate seating area, work space and sofa bed. It has 2 bathrooms and bay windows overlooking the Trinity River Greenbelt. It is located in the main tower. 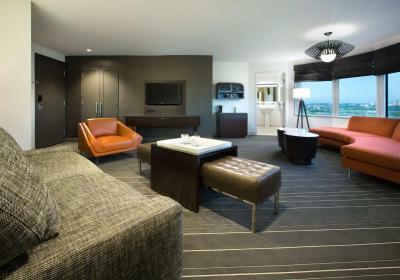 This suite includes a separate seating area with a sofa bed and 2 full bathrooms. It has bay windows with park views. It is located in the Skyline Tower. 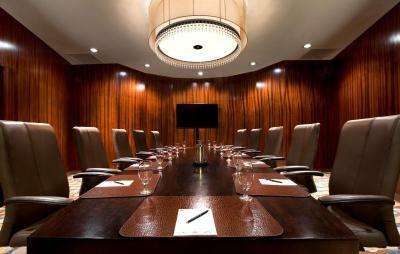 This room features a work desk, 32-inch flat-screen TV and views of Downtown Dallas. It has motion-censored floor lighting and automatic window shades. 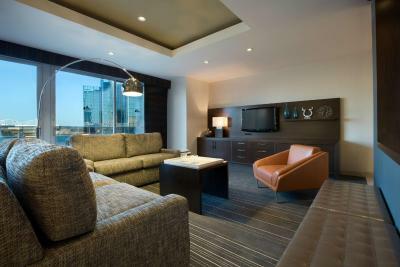 This room features a separate seating and dining areas, sofa bed, 37-inch flat-screen TV and park views. 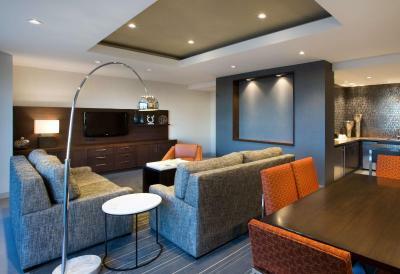 This suite features 2 separate seating areas and a 65-inch flat-screen TV with connecting WiFi and surround-sound stereo system. There is a single-cup coffee maker, refrigerator, sofa bed and additional half bath. The parlor space can hold up to 30 people. 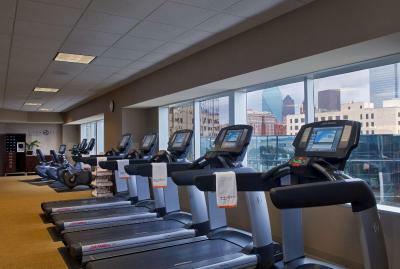 It is located on the top floor with views of Downtown Dallas or the Trinity River Greenbelt. This suite features a kitchenette with a refrigerator, coffee maker, sink and island. 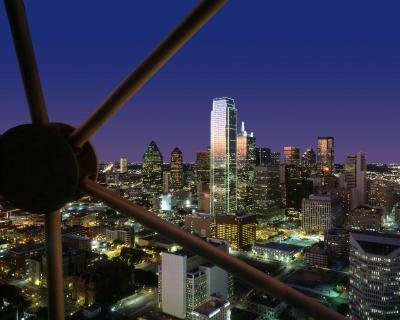 The outdoor terrace has a view of the Reunion Tower. There is also a sofa bed, 2 full bathrooms and a dining table for six. This quadruple room features a view, tea/coffee maker and air conditioning. 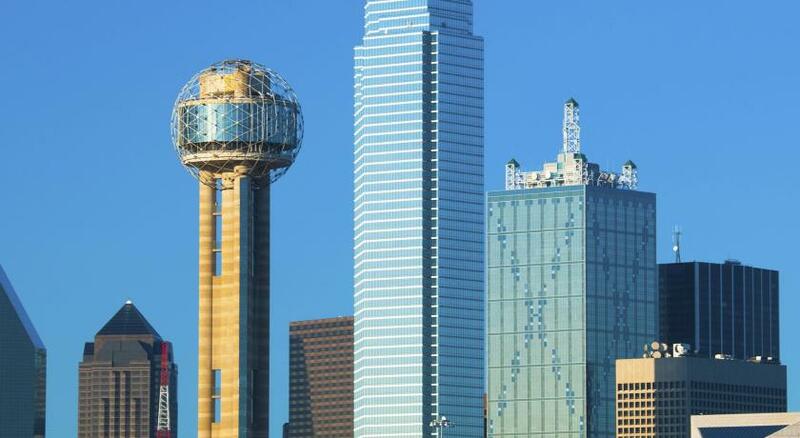 Located downtown next to the iconic Dallas landmark Reunion Tower, Hyatt Regency Dallas offers 1,120 modern guest rooms and 160,000 square feet of flexible meeting space just minutes away from the Dallas Convention Center, American Airlines Center and the Historic West End District and Dealey Plaza. House Rules Hyatt Regency Dallas takes special requests – add in the next step! 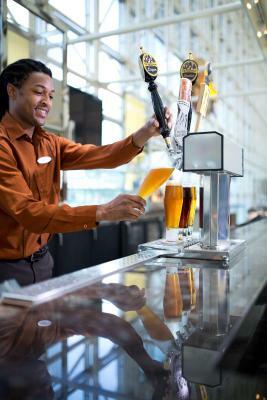 Hyatt Regency Dallas accepts these cards and reserves the right to temporarily hold an amount prior to arrival. I was assigned a room without being cleaned initially. When we checked in, we were told we had booked a “parlor” room. That meant we had a pull out bed! There was no mention of that in our booking & since my husband is 6’4” I NEVER would have booked such a room!!! We spoke to the manager and although they were heavily booked, he managed to find a “handicapped” room w/ 2 Queen beds. We happily took it, but not happy with Booking.com for not disclosing this important info!!!! When I booked, I had a special request to see if they could do anything special in the room (decoration wise like rose petals on the bed) as we were celebrating our 15 year wedding anniversary. Did not get any feedback at all nor was anything done. The valet parking was a joke. They told us to give call from our room and give them a 5 minute heads up, so we tried calling numerous times but due to high call volume, no one answered. Finally walked out front to request our vehicle. We requested it around 9:10 but did not get our car until almost 9:40 and that was after we had to ask the valet attendant who has our keys on his belt chain. This made us late for our 9:30 dinner reservations so I had to call and push that back. The valet young me were very friendly but it was chaotic and super unorganized. There were no luggage carts to be found and parking is around the block. Just getting our luggage inside turned into an awful ordeal in the cold rain. Also, the hotel was extremely noisy until almost midnight. Rooms open to the large atrium area are exposed to a dull roar of noise from the eating area below, even from several floors up. The room was clean and comfortable and the staff was friendly. Room was behind the elevator and a tad noisy at night - didn’t complain because it wasn’t a major issue. (Room 1086). Lots of space in a very clean room with a city view. 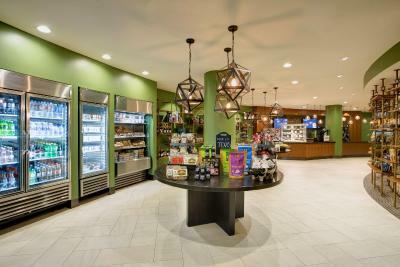 A well appointed hotel with friendly, efficient staff. Great location. Would recommend. It’s a really nice place to stay. No official concierge on duty - other staff had to pick up the job. 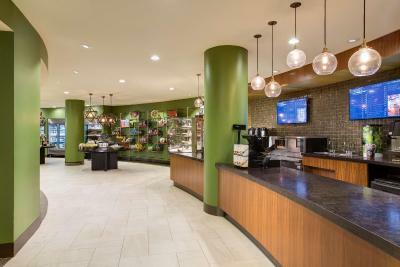 All staff was very friendly and helpful. The swimming pool was extremely underwhelming and there was not hot tub. I could sleep. I was up until 1am after my training because of all the wolf sounds other guess where making sown in the lobby. There was a “Furry” convention at the Hotel, and the lobby and elevators were over run by the participants, which were by and large very rude and obnoxious. We were celebrating my girlfriends 60th Birthday by eating at the adjoining restaurant, we got on the elevator and were called names by 2 of the Furry participants who were most rude. In addition I was charged for 2 days Valet , even though we were there for one night only. The hotel staff did the best they could under the circumstances, but they were clearly overwhelmed by both the number and the awful behavior of the Furry participants. A young woman on the elevator who was made to feel very uncomfortable by the Furry Participants looked at us and said that she was treated so rudely by them that she was literally afraid to leave her room. That’s not acceptable! 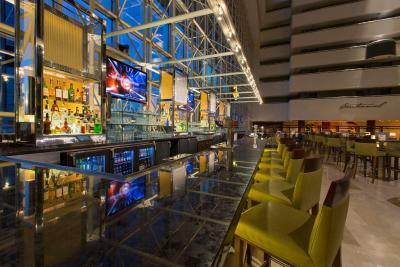 The chances that we will visit Hyatt Regency again are very slim. High price. A lot of highways around. No free parking.